Tomorrow is the last day to take advantage of this offer to transfer 20,000 Starpoints into 30,000 AAdvantage miles. Earn more miles toward your next trip with the American Airlines AAdvantage® and Starwood Preferred Guest® programs. From July 1 through August 7, 2015, convert your Starpoints® to AAdvantage miles and earn a 20% bonus on the amount of AAdvantage miles you receive from the conversion. This offer is an additional 20% bonus that’s fulfilled by American which stacks on top of the 25% bonus that Starwood always offers for transfers of 20,000. You can get all the details here. As always, for every 20,000 Starpoints transferred within the same transaction, SPG® will automatically add another 5,000 Starpoints. With the additional 20% mileage bonus offered by the AAdvantage program, you’ll receive 30,000 miles from the transaction. Converting your Starpoints into AAdvantage miles will bring you closer to reaching your dream destination faster. American has a great and very reasonable award chart, so if you have your sights set on a trip, you might want to consider transferring some SPG points for this additional bonus. 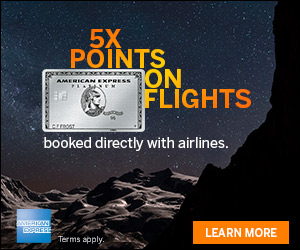 To qualify for this AAdvantage® bonus mile offer, member must initiate the AAdvantage mileage conversions with the Starwood Preferred Guest® program between 12:00 am Central time July 1, 2015 and 11:59 pm Central time August 7, 2015 (the “Promotion Period”), and be in good standing in the AAdvantage program. 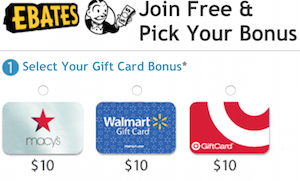 Members can convert multiple times during the Promotion Period. To earn the 20% conversion bonus, member must convert points from the Starwood Preferred Guest program. This offer is non-transferable and non-reversible. Bonus miles will be posted by American Airlines to the qualifying AAdvantage member’s account within 7 business days after the initial conversion activity has been posted by Starwood Preferred Guest. 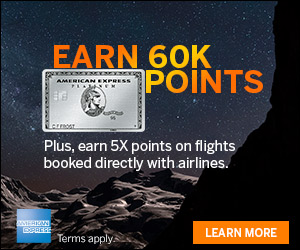 Bonus miles earned in this promotion do not count toward elite status qualification. American Airlines, AAdvantage, the Flight Symbol logo and MileSAAver are marks of American Airlines, Inc.
Starwood Preferred Guests can transfer up to 79,999 of their Starpoints® per transaction per program within a 24-hour period to the American Airlines AAdvantage® program. Plus, for every 20,000 Starpoints transferred within the same transaction, Starwood will automatically add another 5,000 Starpoints! This means that up to 94,999 Starpoints can be transferred into your AAdvantage account. There is no minimum Starpoint transfer requirement for Platinum Preferred Guest members. Gold Preferred Guest members have a minimum transfer requirement of 1,500 Starpoints, and Preferred Guest members have a minimum transfer requirement of 2,500 Starpoints. Transfer maximums are based on a combination of member Starpoints and the Starwood Preferred Guest airline transfer transaction bonus. Only one airline transfer transaction per member per 24 hour period is allowed; multiple transfer transactions within the same 24 hour period will reject. Both the Starwood Preferred Guest and AAdvantage account must have identical member names in order to complete this request; different names will cause the transfer to reject. Airline transfers are one-way, non-reversible, and non-refundable. Starwood Preferred Guest and Starpoints are marks of Starwood Hotels & Resort Worldwide, Inc.
From July 1 through August 7, 2015, when you convert your Starpoints® to AAdvantage miles you will earn a 20% bonus on the amount of AAdvantage miles you receive from the conversion. This offer is an additional 20% bonus that’s fulfilled by American which stacks on top of the 25% bonus that Starwood always offers for transfers of 20,000. So, 20,000 SPG Points will get you 30,000 AAdvantage miles.